A solid stainless steel, rust resistant body, and deadbolt locking mechanism, this heavy duty padlock provides you with top security for your self-storage locker, your truck bed, your bike, or anywhere you need it. 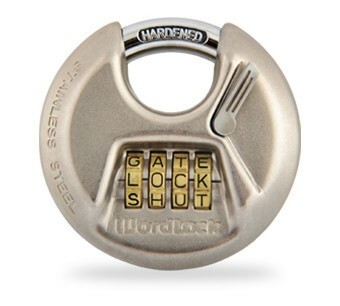 The shielded design resists bolt cutters, so even the sneakiest thief is at his wits end. And rain or shine, the copper-plated, solid zinc components prevent corrosion. With dials, you'll never have to worry about losing your key again. With letters, it's easier than ever to remember your combination. 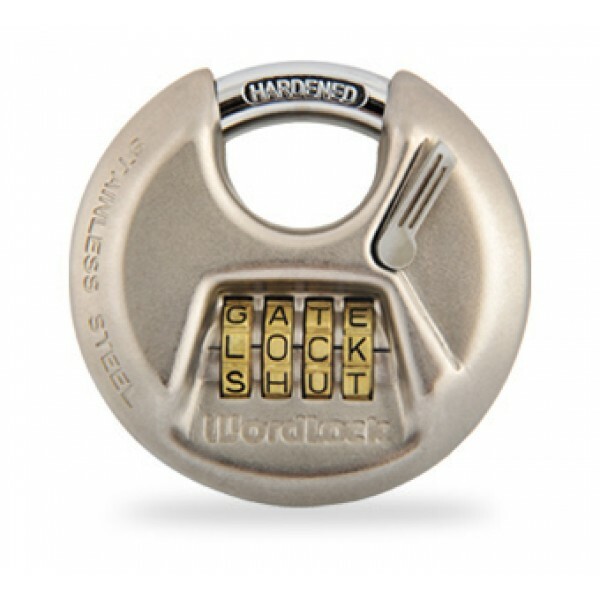 The 4 dials make 10,000 possible word or letter combinations so your code is as secure as your possessions.